Buildship can now import projects even if their configuration is broken. In that case, the root project is imported as-is. Also, instead of using a custom error dialog, synchronization issues are shown via error markers. In case a location information is present in the error, Buildship assigns the error marker to the proper resource. 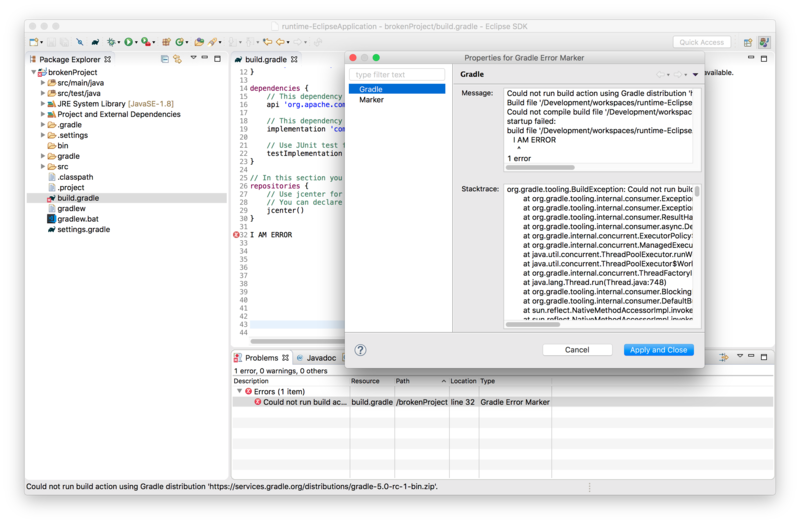 The context objects provide access the current Gradle build, the project being configured and the helper objects to report configurator errors. Buildship 3.0 now offers all configuration options on all preference levels. 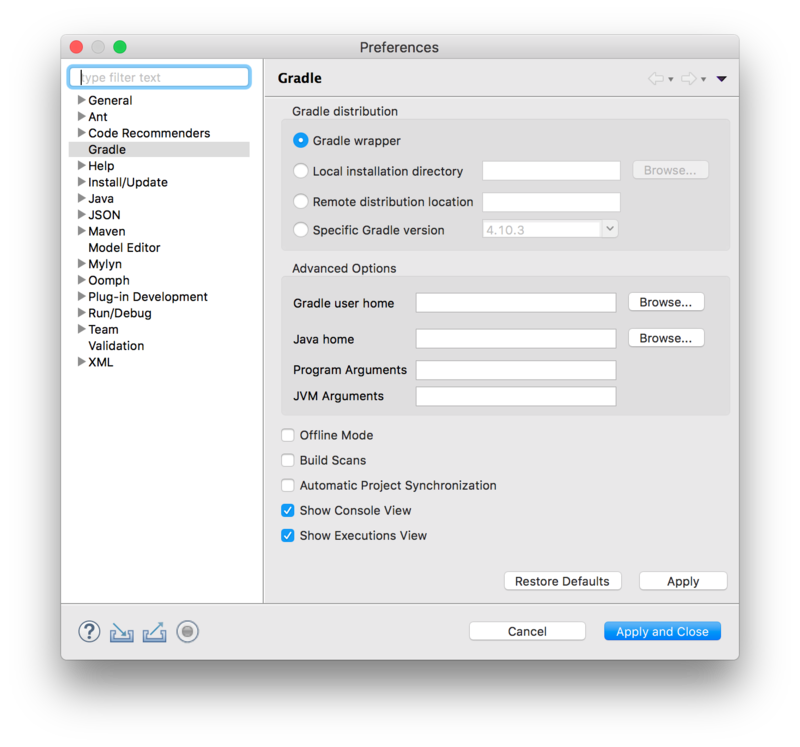 Users can set the Gradle user home, JVM arguments and more for the entire workspace, for a specific Gradle build or for a single task execution.